CINCINNATI, Ohio, May 15, 2017  Construction is underway on the new $120-million home of the Carl H. Lindner College of Business at the University of Cincinnati. A ceremonial groundbreaking earlier today celebrated the beginning of construction on the new building, which is being designed by internationally renowned Henning Larsen Architects, with Cincinnati-based KZF Design as the architect of record and Turner Construction Co. overseeing construction. UC President Neville G. Pinto, Lindner College of Business Dean David Szymanski and about 250 alumni, donors and members of the Cincinnati business community attended the groundbreaking. Our family is proud of the progress being made on the innovative new building, which will continue the legacy of our father, Carl H. Lindner Jr., said Carl H. Lindner III, Co-CEO of American Financial Group, BBA 75. 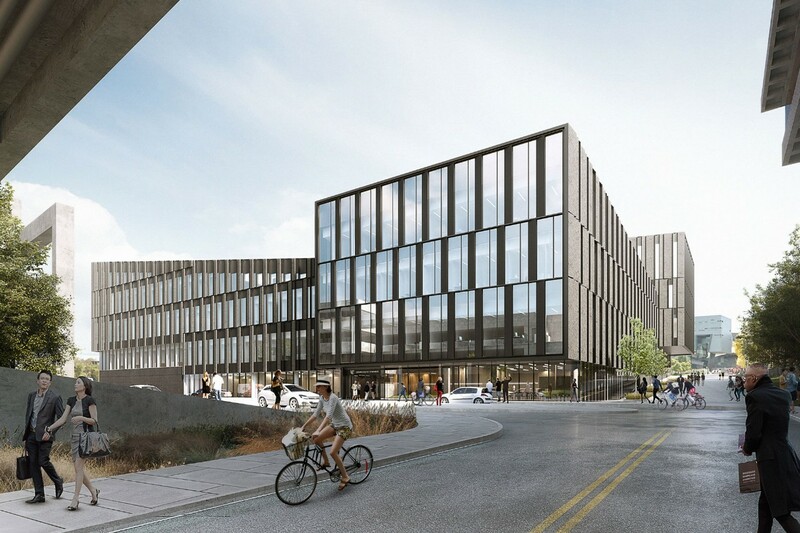 We are excited about the ascension of the Carl H. Lindner Jr. College of Business and believe this facility will bolster the University of Cincinnati and the region as a hub of innovation and exceptional talent, said S. Craig Lindner, Co-CEO of American Financial Group, BBA 77. Set to open in fall 2019, the four-story, 225,000-square-foot facility will feature an expansive floor plan with more than 160 faculty office spaces, a 150-seat, two-story lecture hall, a 250-seat auditorium, research labs, exam and tutoring areas, huddle and breakout rooms and plenty of open workspaces. The buildings novel design will support new ways to learn and teach. The new facility is needed because Lindners undergraduate student enrollment has increased 50 percent and its graduate-level enrollment has surged 200 percent in the past six years. This growth has been matched by record incoming student quality metrics. Specifically, he pointed out that the new facility will include workspaces where students can come together to think about entrepreneurial activities. Fundraising to offset the cost of the new facility commenced in August 2015. More than $22 million has been raised, including a record-breaking $11 million gift from the Lindner family and American Financial Group. The Lindner College of Business current home, Lindner Hall, was constructed in 1986. Despite being two stories taller, its 103,000 square feet was designed to accommodate about 1,800 students  a little more than one third of the colleges current enrollment of nearly 5,000. The new building will significantly lessen the need for classes to be held in other buildings on campus. In recent years, the college has earned acclaim from multiple national media sources including earning the largest three-year rankings jump of any MBA program in the nation in U.S. News & World Report, being named the No. 1 best value MBA program in the United States by College Atlas, and being ranked one of the Top 50 public MBA programs in the country by Bloomberg Businessweek.